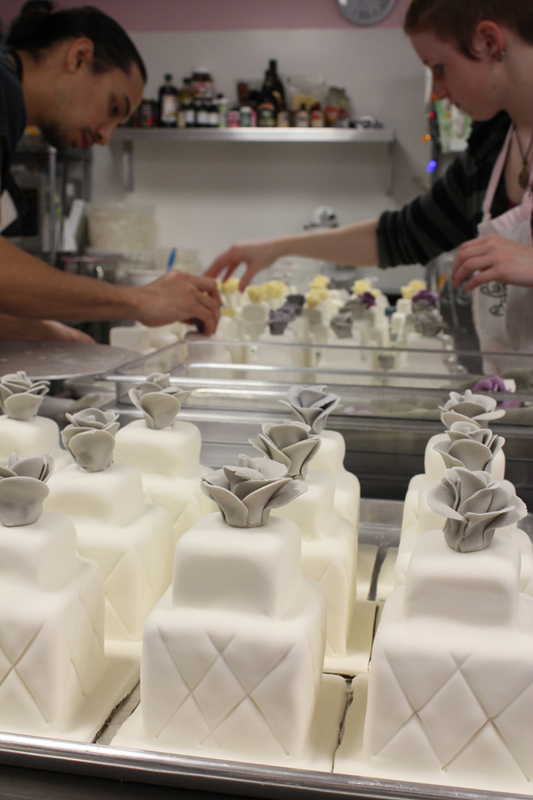 Last weekend we created a marathon of a wedding cake order. Instead of the usual, more formal sit-down dinner, this couple decided on a cocktail hour with hors d’oeuvres to be passed around. 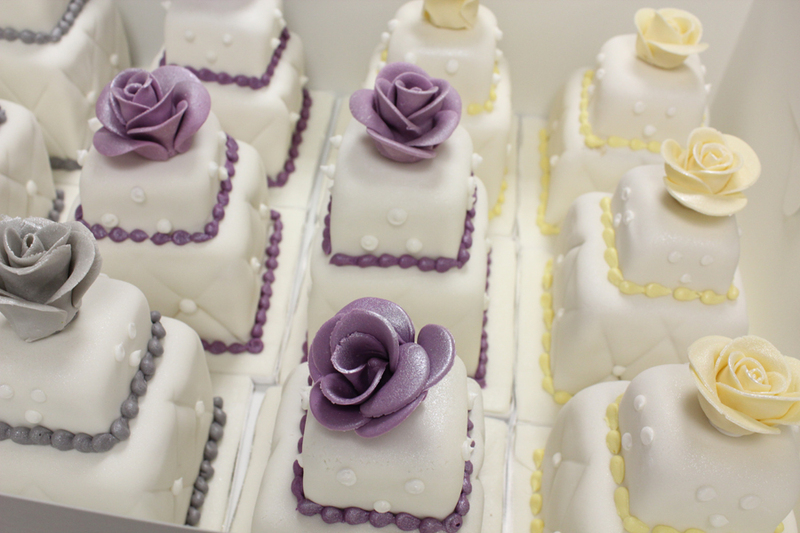 So we made 100 mini wedding cakes, one for each guest, to be passed around on waiters’ trays. It took a good portion of our week to plan, bake, make roses, and decorate these cuties, but was totally worth the effort. 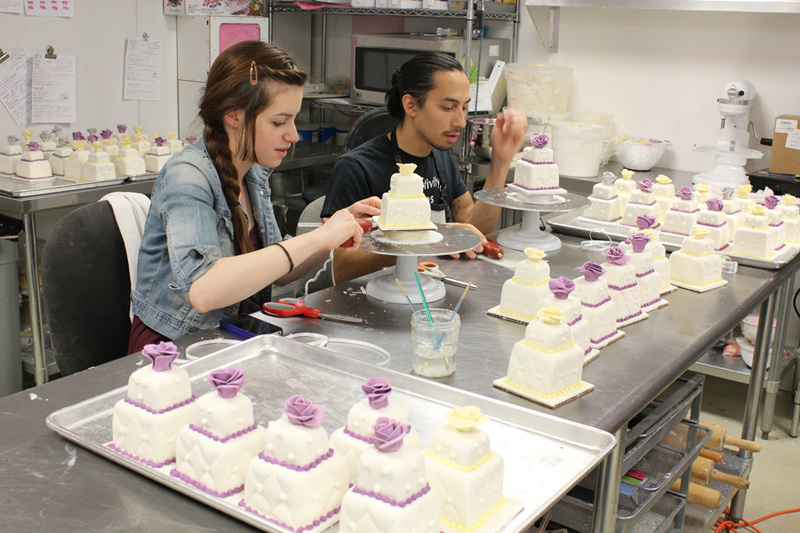 First off, here’s a couple shots of our wonderful decorators assembling the minis. 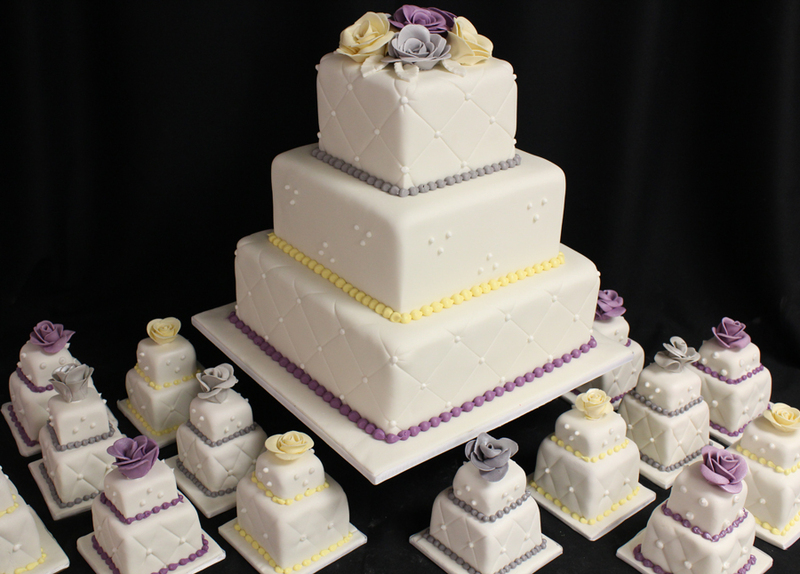 Here’s a shot of some of the minis with the large wedding cake, which was mostly for display and the cutting ceremony. Here are the minis all finished and ready to be delivered. If you’re imagining these adorable little guys being served as your wedding dessert just keep in mind that this is one of the most expensive options we have available. 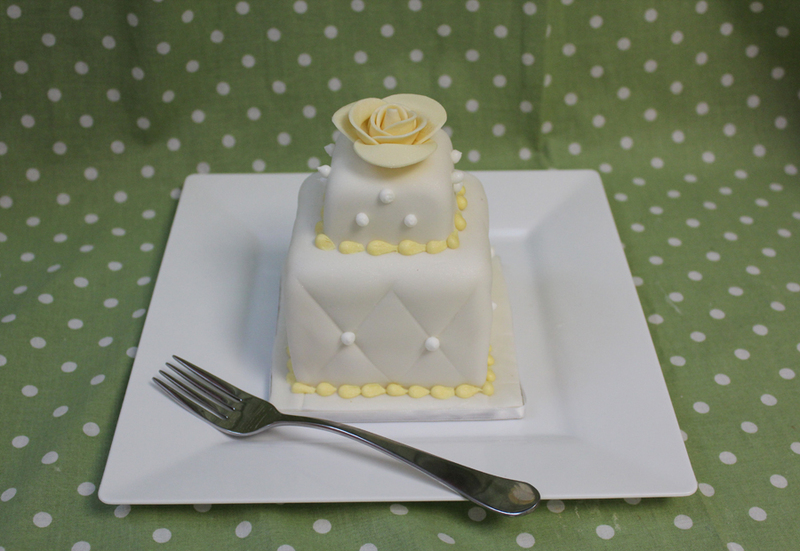 It takes a whole lot more decorating hours to decorate 100 individual servings to look like mini wedding cakes than it does to decorate all 100 servings at once. Not only you are dedicated and talented, you also are totally awesome! But all the rest is the usual top notch sugary sweet you are famous for!